We'll Look Up The Parts You Need For FREE! 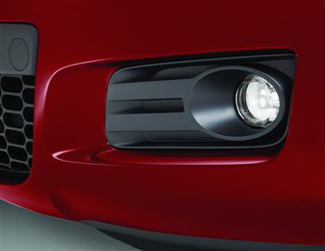 Give yourself extra visibility in foul weather and a sport look with these Fog Lamps.. There's no finer replacement part for your Mazda than a genuine factory part. Our OEM Mazda parts offer the same high quality and exact fitment you'd expect to find on a brand new vehicle. Genuine Mazda parts have a warranty too - parts for 1996 and newer vehicles have a 12 month/12,000 mile warranty against defects, whichever comes first, from the date of purchase. University Volkswagen Mazda (DBA: Real Mazda Parts) has made every effort to provide accurate schematics, part information, and diagnostic advice. However, we can not be held responsible for errors, part discontinuations, or incorrect information. Please see our terms and conditions to learn more. ©2016 University Volkswagen Mazda (DBA: Real Mazda Parts). All Rights Reserved.